Health officials shut down the food facility at The Champaign Country Club this month after inspectors found more than two dozen violations. The club received an adjusted score of negative 6 during the routine inspection on May 11 and was immediately closed, according to Champaign-Urbana Public Health District records. In its previous inspection on Dec. 9, the club was allowed to stay open with a score of 1, though it failed after an inspector cited it for seven critical violations and 24 non-critical violations. Ants on the wall, a live cockroach next to a meat grinder, fruit flies “too numerous to count” and a bucket of bloody juice were some of the worst violations over a ten-month period in Champaign County restaurants. In total, 39 restaurants in Champaign County failed health inspections – several more than once – from June 2015 to April 2016, according to a review of inspection records. An additional 7 restaurants failed and were temporarily closed. Restaurant goers in Champaign County can call the Champaign Urbana Public Health District at (217) 373-7900 to file a complaint against the business if it’s located in the twin cities, or (217) 363-3269 if it’s in the county. Our new restaurant app is here! Check out this new mobile-friendly tool that allows you to see the health inspection scores of all the restaurants inspected in Champaign County. 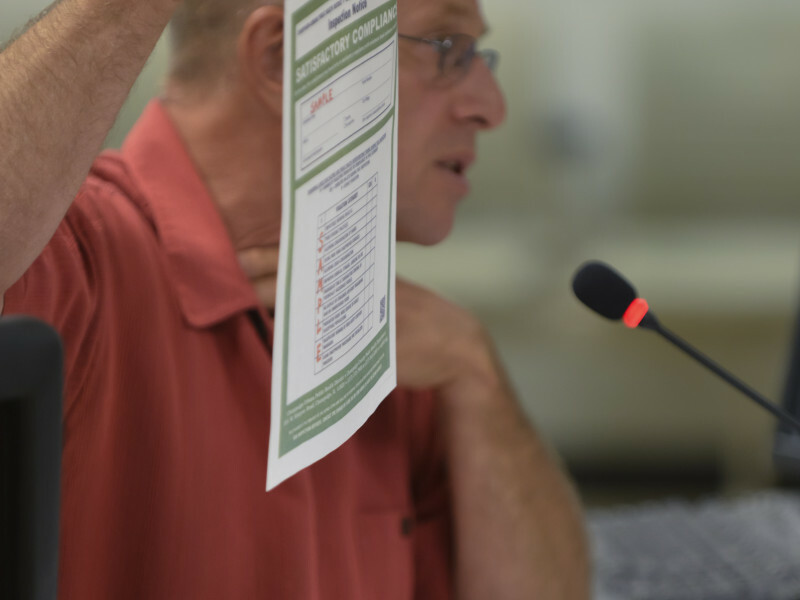 Claire Everett/CU-CitizenAccess.org — The Champaign County Board is continuing its opposition to the mandatory posting of health inspection placards for county food establishments outside the cities of Urbana and Champaign. The most recent vote against mandatory posting was by a much greater margin this week, with 14 members opposing and 5 supporting. 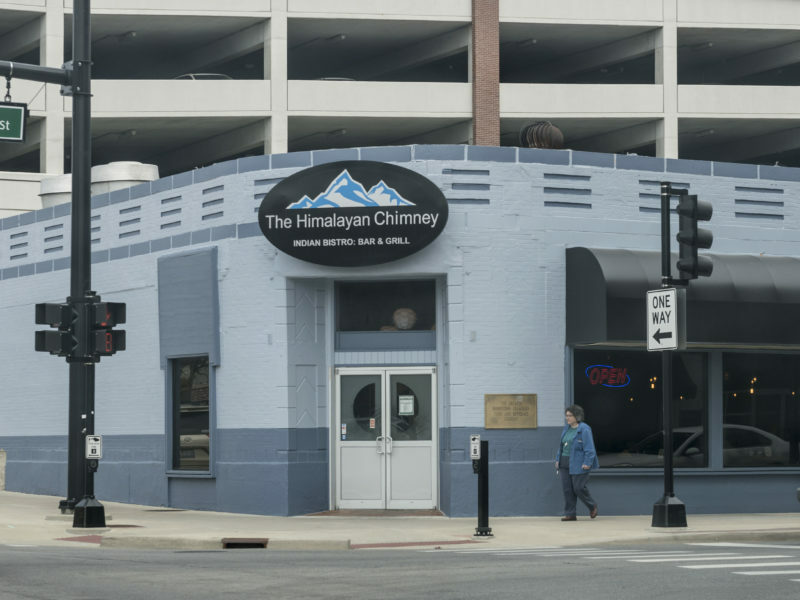 Claire Everett/CU-CitizenAccess.org — Raw sewage in the kitchen preparation area closed down the Aroma Curry House in Champaign in August for two days. Health inspectors also shut down Mirabelle Fine Pastries in Urbana in August and closed Golden Harbor restaurant in September because of critical violations including improper temperatures for food. The three restaurants were the only ones that failed their inspections in the past two months. However, five restaurants had close calls, passing inspections with a score of 36, just one point away from failing. Food establishments are scored on a 100-point scale and fail with an adjusted score below 36.